MK Haim Jelin, who quit Yesh Atid, and MK Yael Cohen Paran, who was with Livni's party, placed in reserved spots on Labor Knesset list. Labor Party chairman Avi Gabbay announced on Wednesday evening that MK Haim Jelin will be given a spot on the Labor list for the 21st Knesset which had been reserved for a candidate of Gabbay’s choice. 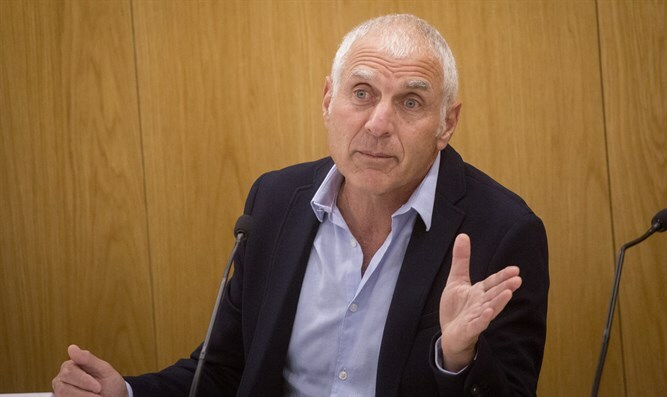 Jelin, who announced last week that he would leave the Yesh Atid party after being informed by its chairman Yair Lapid that he will not be placed in a realistic spot on its list, will be placed in the 10th spot on the Labor slate. In addition, Gabbay announced he would place MK Yael Cohen Paran (Hatnua), who was the representative of the Green Movement in the outgoing Knesset, in the 16th spot on the Labor list. The Hatnua party quit the race earlier this week when its chairwoman, Tzipi Livni, announced she would be stepping down from politics.